Our design studio specializes in creating gorgeous customizable symbolic artworks to honor special clergy members and recognize them for all they contribute! We have extensive experience creating art gifts for Rabbis, Cantors and Educators and it would be our pleasure to work with you! Shell has a large portfolio of artwork suitable for various types of gift prints. 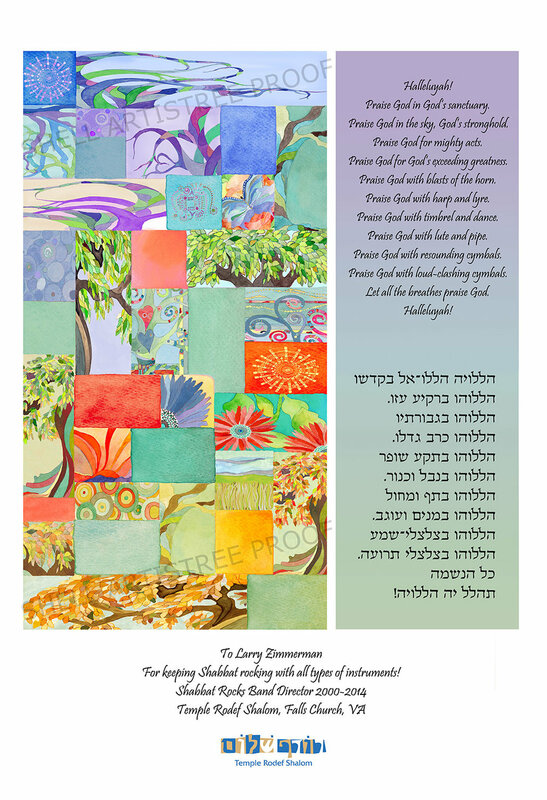 All artwork giclee prints can be customized with names, dates, Psalms, custom phrases, poems, personal notes or quotes. Many designs are viewable online. Let us know what you are envisioning and we will select a few options for you to review or direct you to artwork online that might be appropriate for the type of gift you are considering. Pricing varies depending upon customization. Contact us, to discuss your vision.